A few years ago I wrote an article on why the biggest upset in Rugby history (involving top countries) was when Samoa beat Australia who were 8 places higher in the world rankings. This weekend Japan set a new record being 11 places below South Africa. Compare this to football where the biggest upset was 120 places in the world rankings. This is no accident and Japan knew this and therefore addressed it before the Rugby World Cup started. Rugby is a contact sport, one where a bigger, faster, stronger and fitter guy can almost never lose. I have always likened rugby more to a martial art than to a skill sport like soccer. You simply cannot beat a better athlete if you are not in his ball park of physicality. This is why the world no.1 All blacks have never lost to a team outside the top 5 in the rankings. The gap in physicality is too much. Japan coach Eddie Jones knew this, therefore his focus was to take Japan’s fitness levels to such a standard they were in a ball park to compete with the bigger nations. Eddie conducted a gruelling training camp that lasted almost three months which has left the side “five times fitter than the team that went to the 2011 Rugby World Cup,” according to captain Michael Leitch. It is because of this that Japan are now physically in the ball park to compete with bigger nations. without this emphasis then they simply wouldn’t have been able to win. This same principle is what is behind Warren Gatland’s success with Wales compared to previous Welsh coaches. This rule of fitness is equally applicable to rugby at the lower levels as it is the higher levels. While coaches spend all day working on switches, mauling technique and so forth what will really determine the success of the club is the physicality of the players within the squad. You have two options on this, either get genetically better players or train your current squad to be at that higher level. 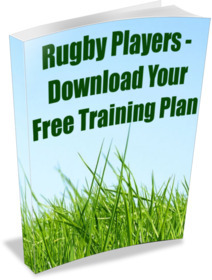 For the individual rugby player it is even more true, either develop your fitness to be able to play at the next level or forever be stuck in your current bracket. Where I say fitness I am referring to the unique combination of strength vs speed vs fitness vs body weight that determines which bracket of physicality you are within. My favourite saying always is you wouldn’t complain at doing fitness if you went to your local boxing, karate or martial arts club and nether should you complain about fitness when you take up Rugby.